Prime Gneis location! 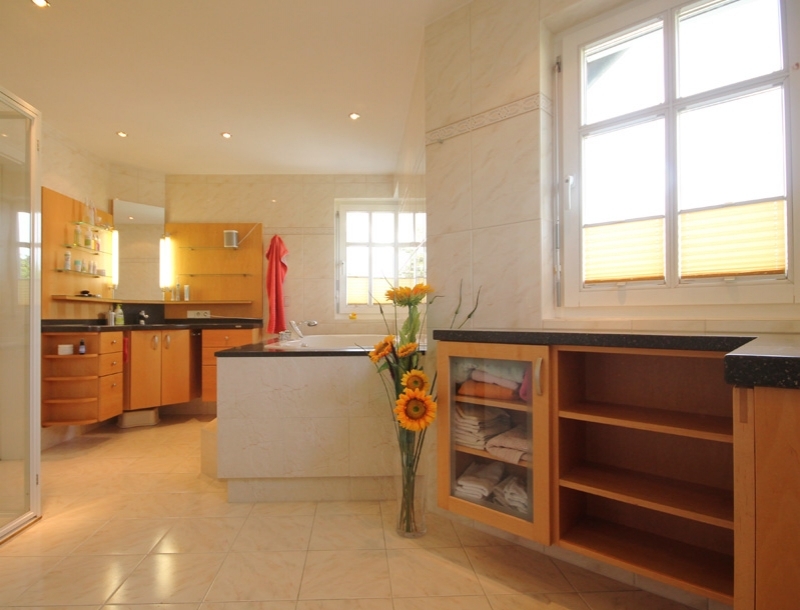 Large and exclusive semi-detached house with around 125 m² of living space plus a generous cellar, approx. 15 m² basement wellness area, double carport, garden shed and state-of-the-art stainless steel pool. Tranquil setting on the green belt with a broad selection of recreation activities to choose from in the immediate vicinity, shops and bus connections within walking distance and only a short cycle ride from the Old Town via the Almkanal stream. Pleasurable living in a beautifully fitted house offering maximum privacy and countless extras! The elegant, open-plan living/dining area with a stove leads into the Braal kitchen boasting stone worktops. Picture windows reveal a beautiful view of the well-kept garden and terrace with a glass roof. A highlight is the heated 14 m² stainless steel pool with a counter-current swimming machine. Additionally the ground floor houses a guest WC. The first floor comprises two delightful bedrooms with a balcony. The sweeping bathroom includes a shower and whirlpool tub. 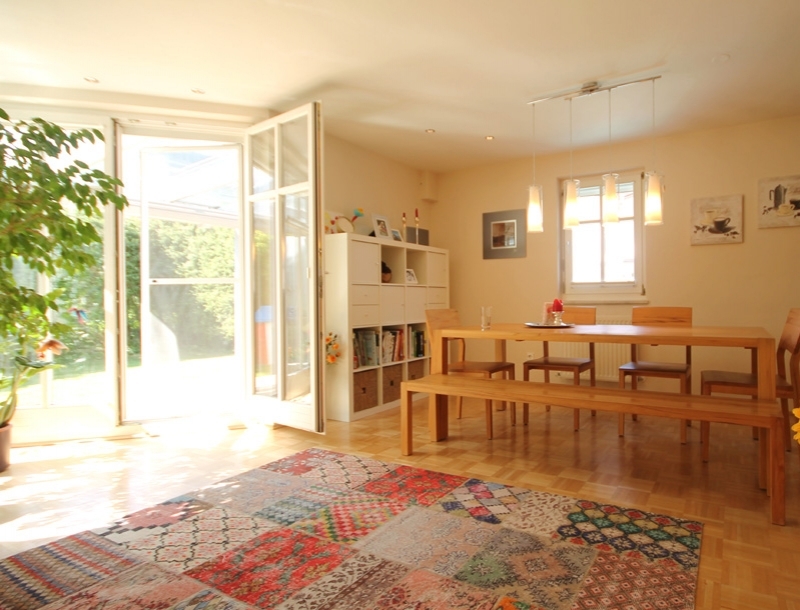 The atmospheric top-floor studio which can be split into two rooms is a wonderful escape for parents/children. A sauna and relaxation area in the basement complete the layout.